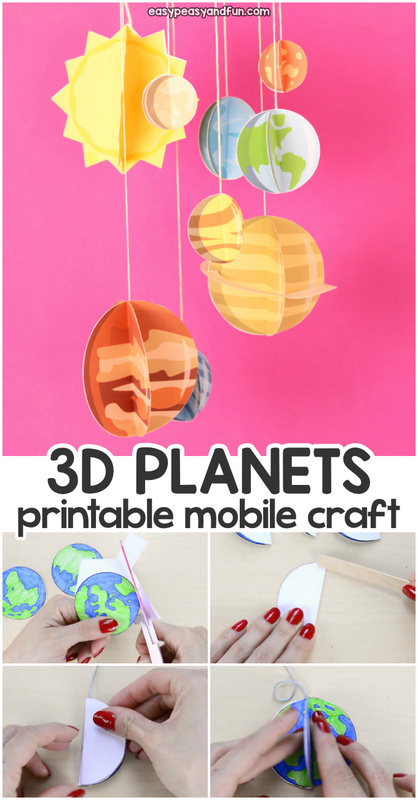 This 3D Paper Mobile Planets Craft is great for kids and grown ups! 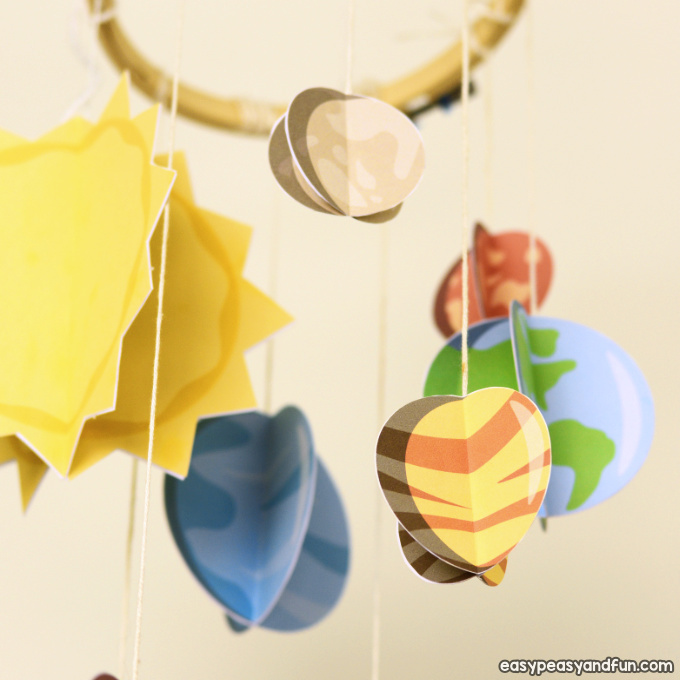 Kids will love exploring our solar system by making this crafts and you can use the template to make a fun mobile for the baby room, your classroom or any other room. 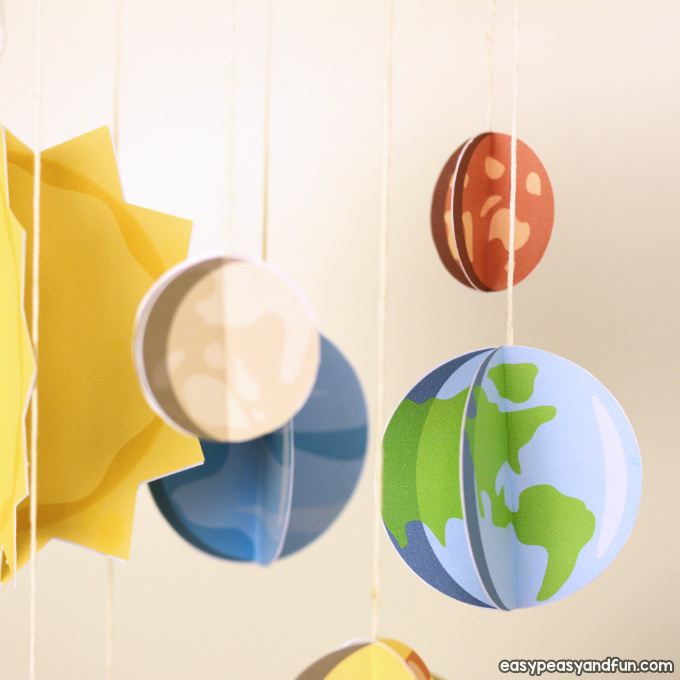 Kids love learning about the solar system as it is, well fascinating! 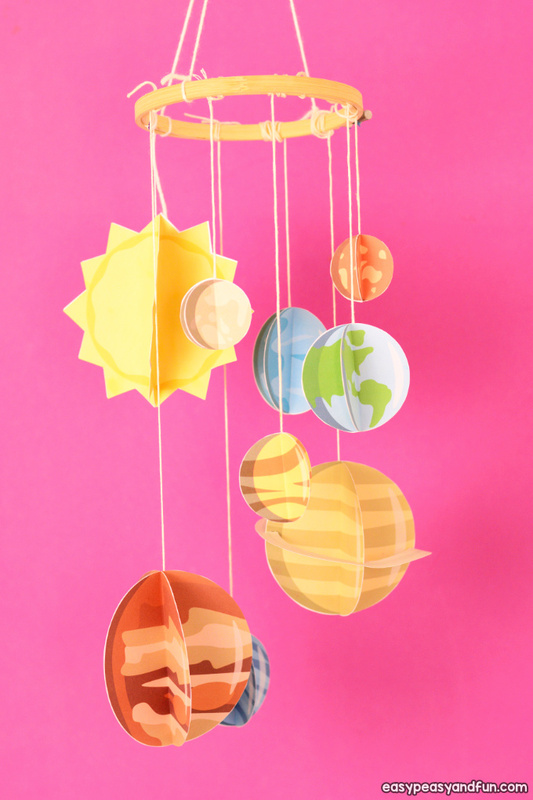 This 3D Paper Mobile Planets Craft can be made by the kids to help them learn the names of the planets and to learn their order, or it can be made by the parent or a teacher to use in their educational setting. 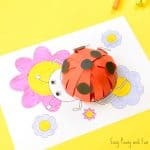 We have it ready for you in black and white for kids to color as well as in full color version. 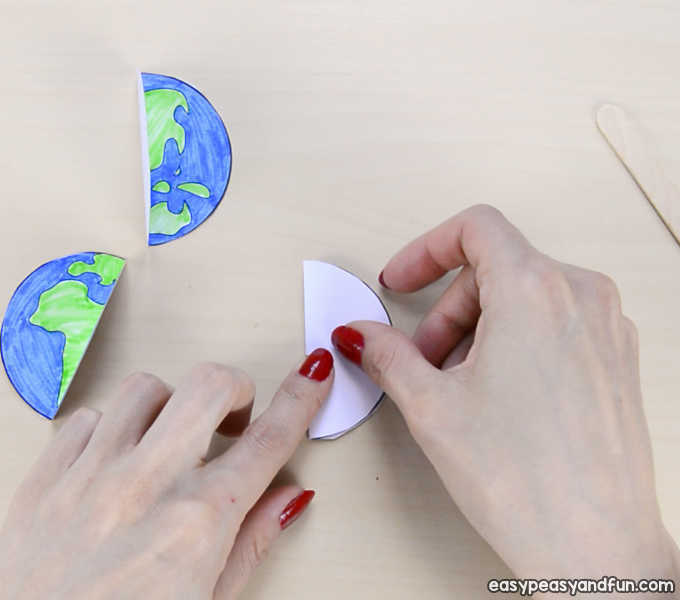 Print out the templates. Printing on cardstock is recommended. 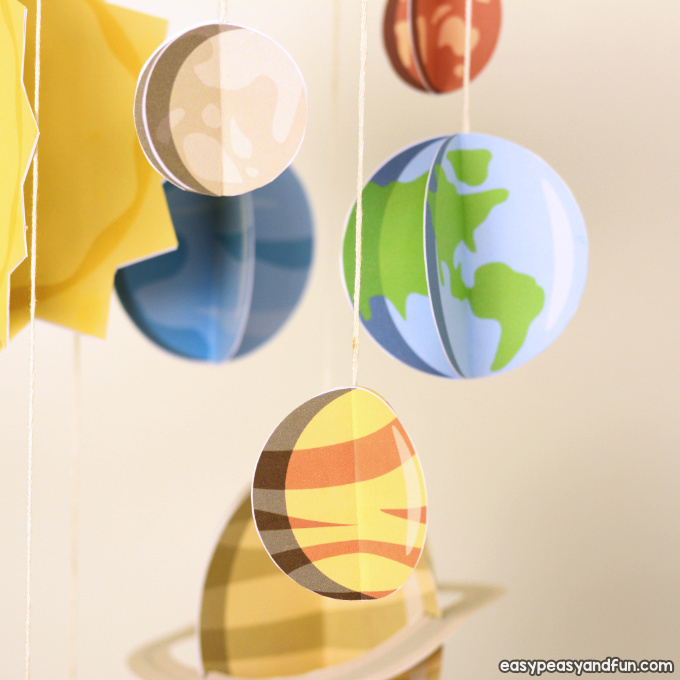 Both full color and black and white versions available, in this tutorial we will be showing you how to use the black and white 3D Paper Mobile Planets Craft template. 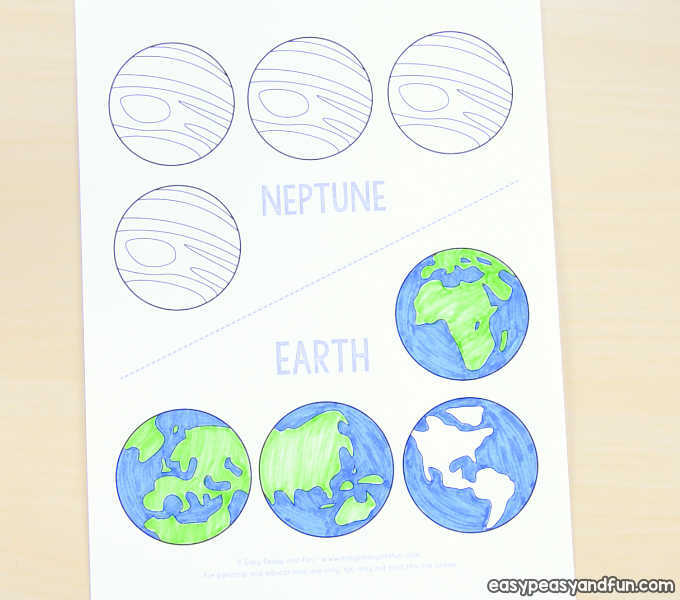 Color in all the planets. 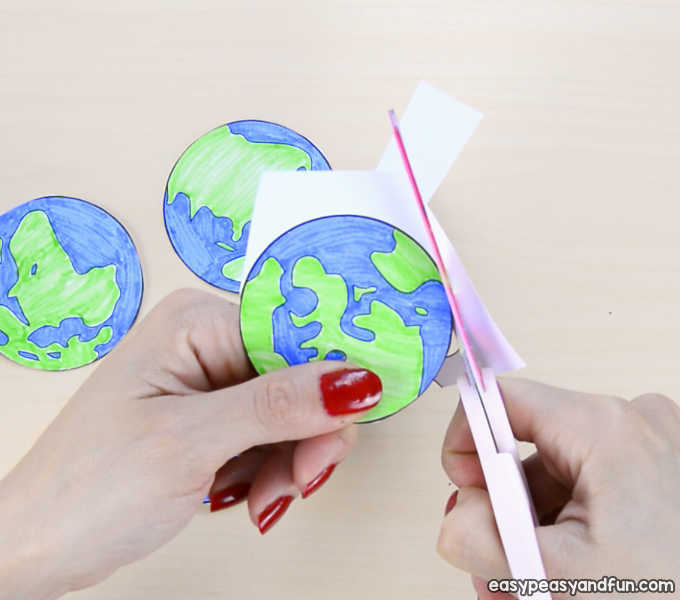 Make sure the folds are crisp – we helped ourselves with a craft stick, running it across the fold. 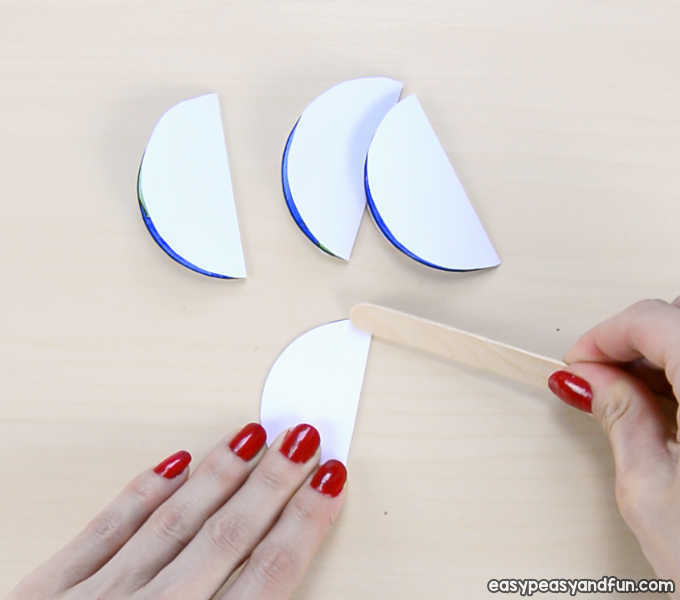 Apply glue on the half circle. 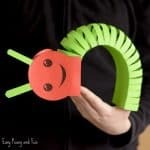 You can add string now, or once you have glue the first halves together. 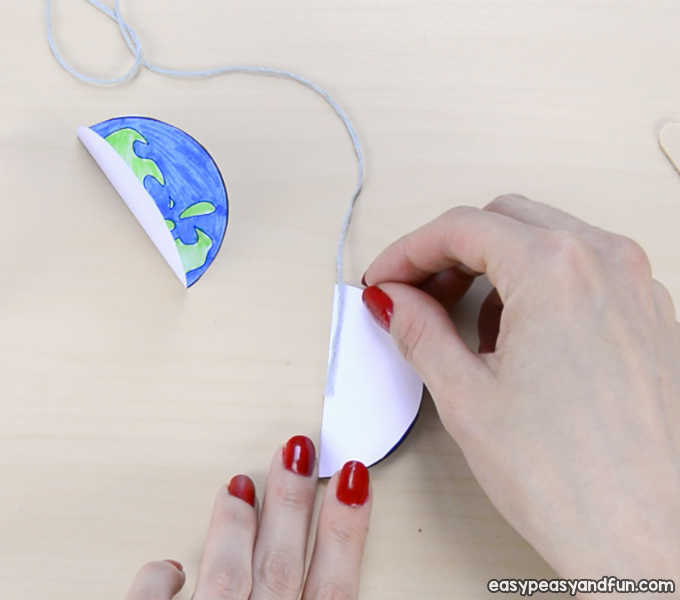 Secure the string with tape. 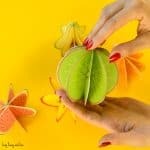 Adhere all other halves to complete the sphere. 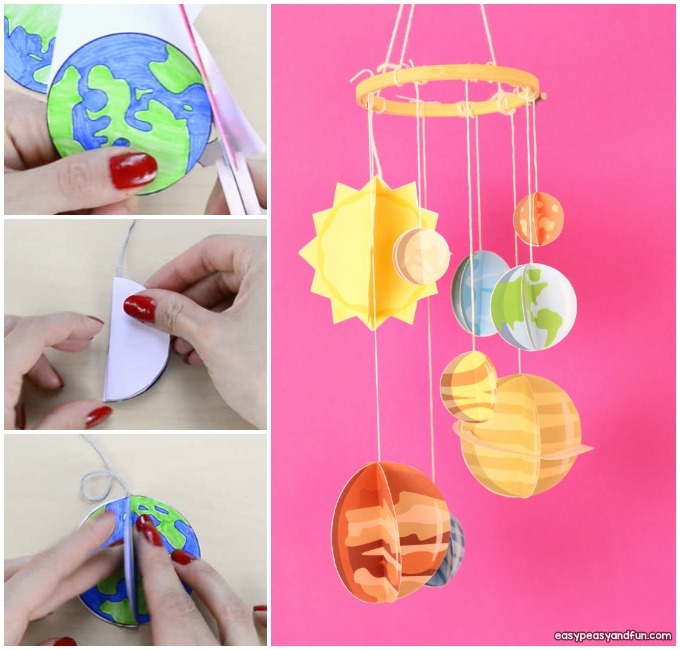 Repeat with all other planets and string them on the embroidery loop or similar. All done and ready for display. 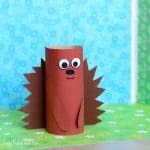 This printable is available in our members area. 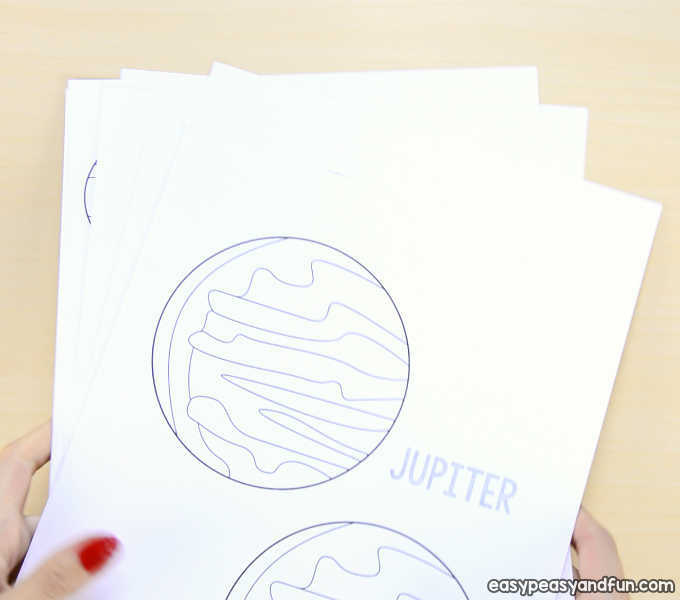 Become a member and gain aces to our growing collection of educational and crafty printables.